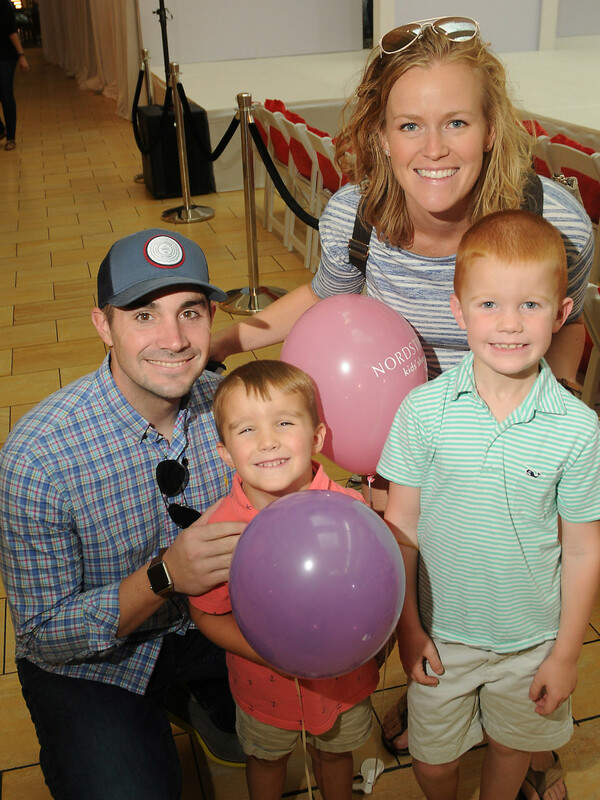 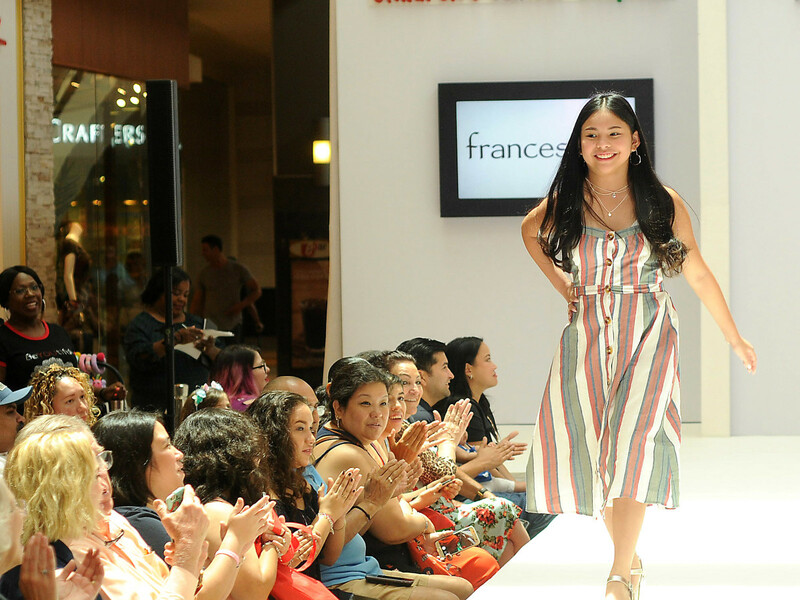 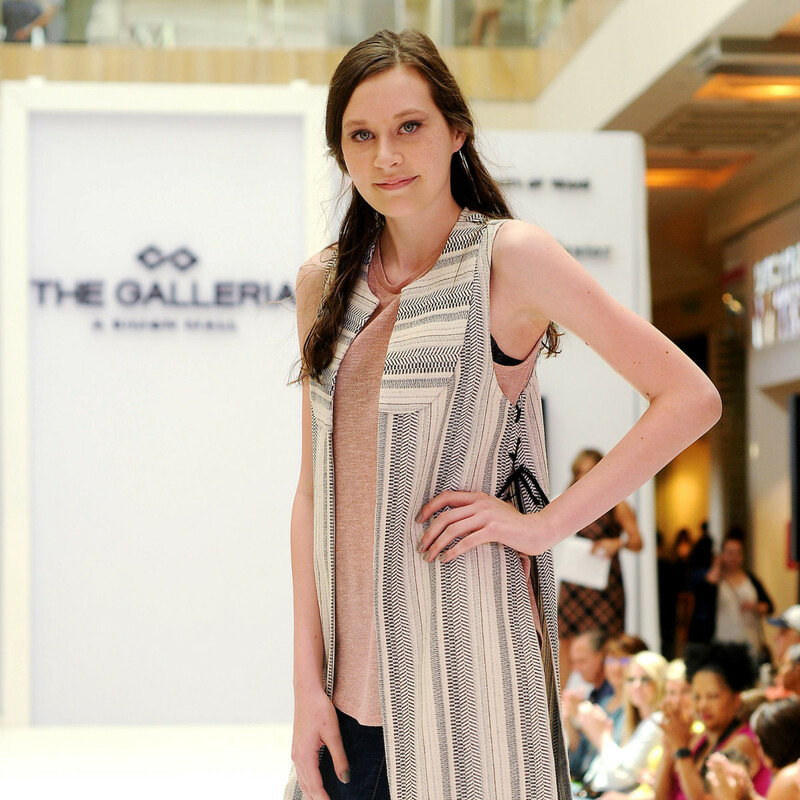 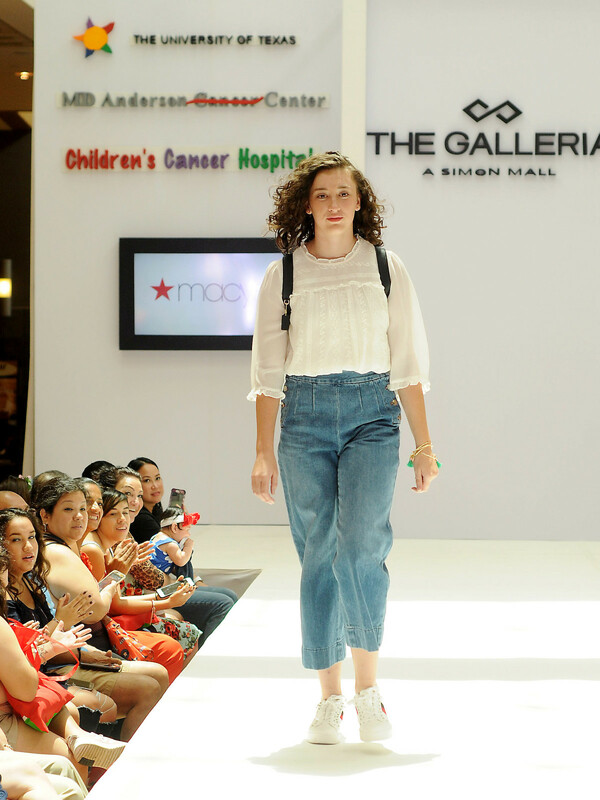 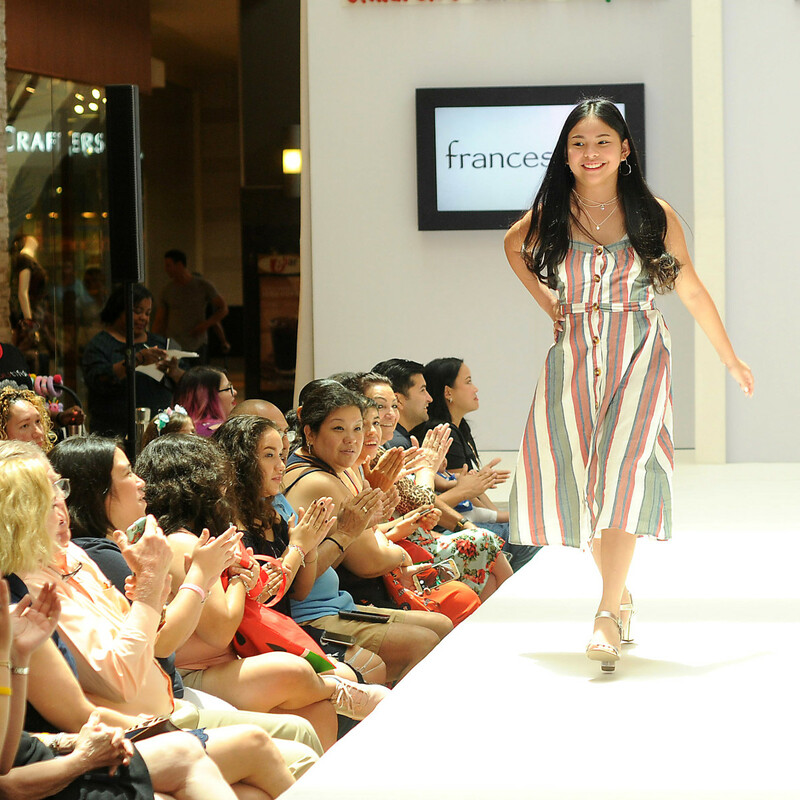 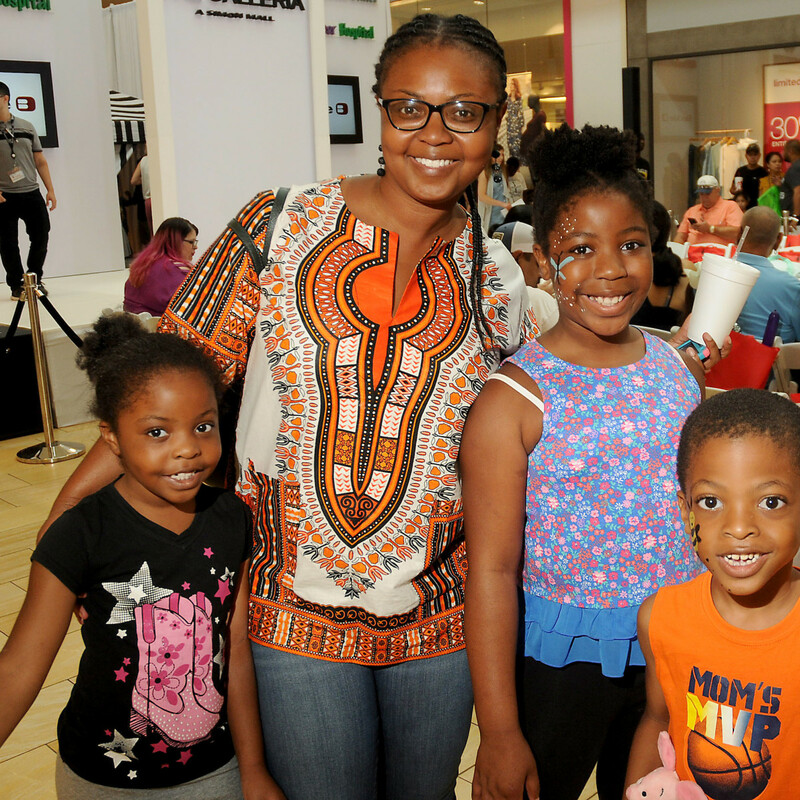 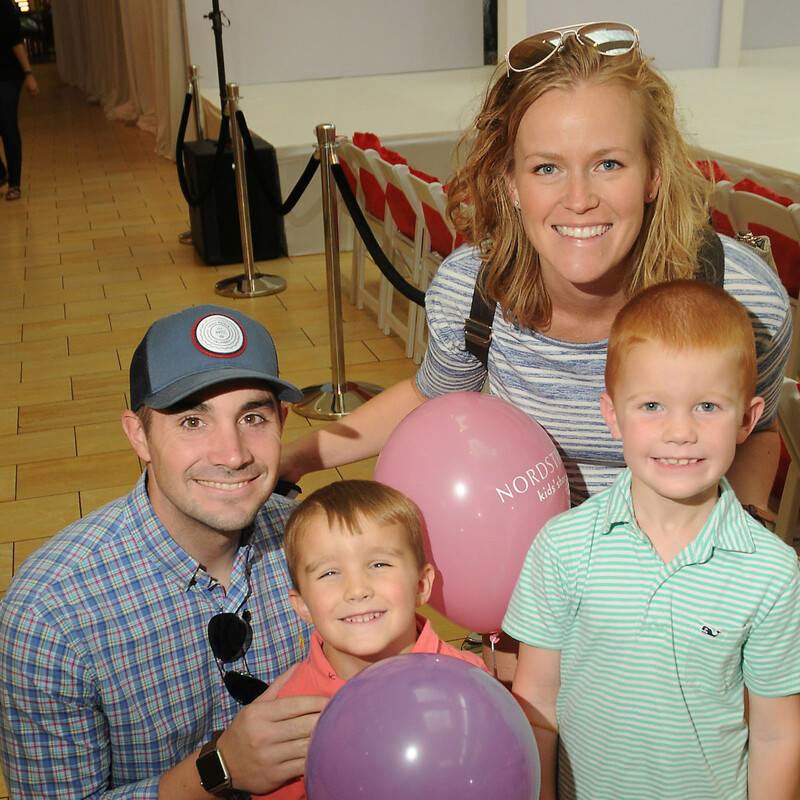 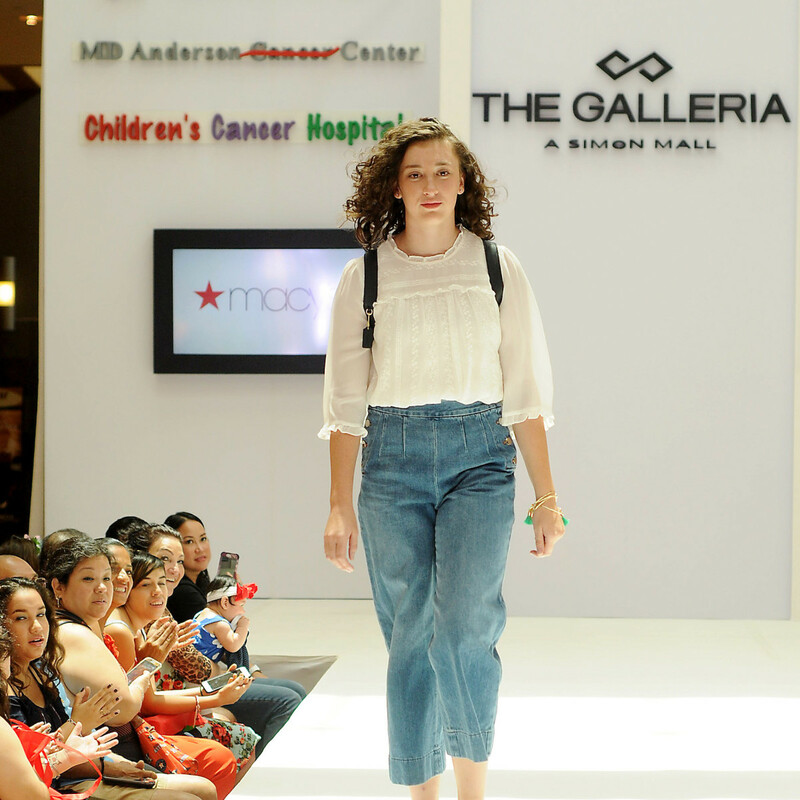 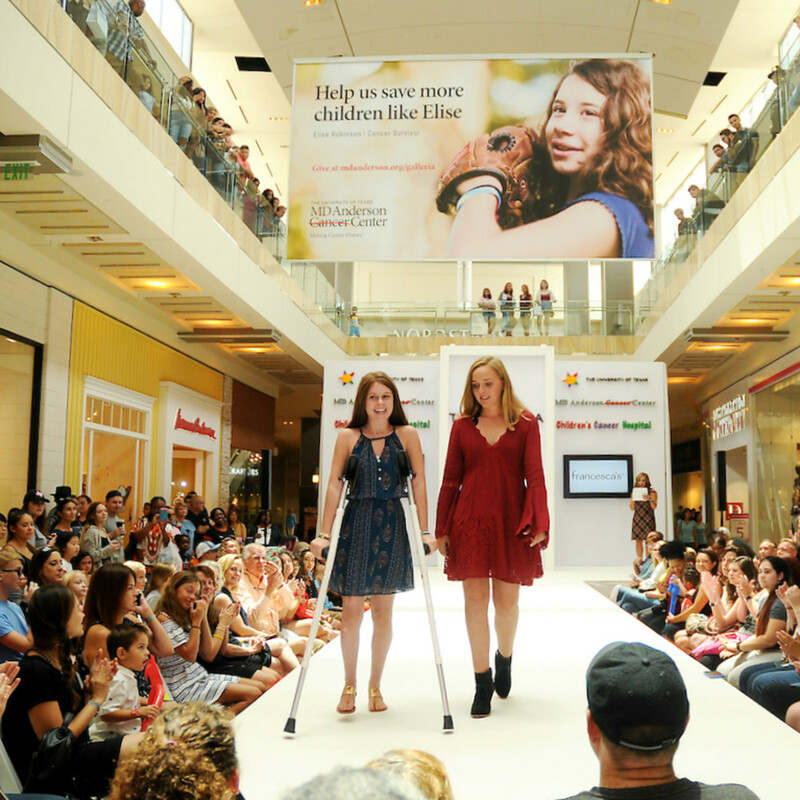 Families taking advantage of tax-free weekend specials at the Galleria Mall had a chance to see MD Anderson patients, siblings, and caregivers own the runway at the annual back to school fashion show hosted by MD Anderson Children’s Cancer Hospital and The Galleria. 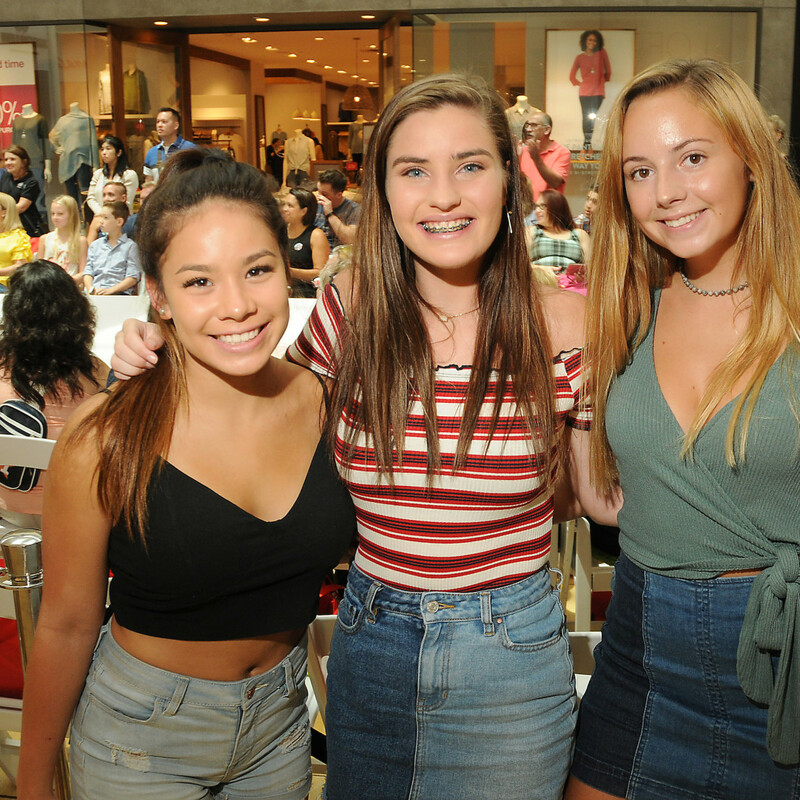 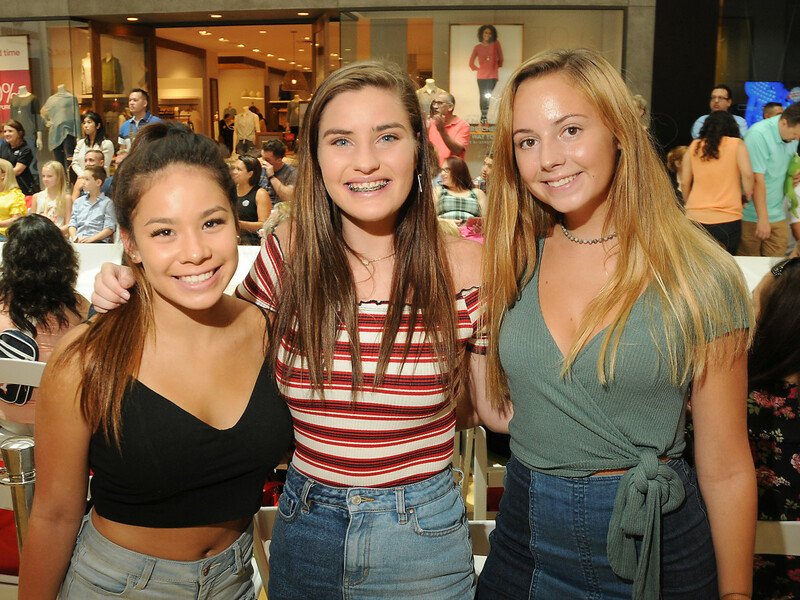 MD Anderson children and teens joined Page Parkes models, sporting the latest fashions from Crazy 8, Pure, Athleta, Francesca’s, Gymboree, Vera Bradley, Banana Republic, Buckle, Trina Turk, Robert Graham, Topshop, and Macy’s. 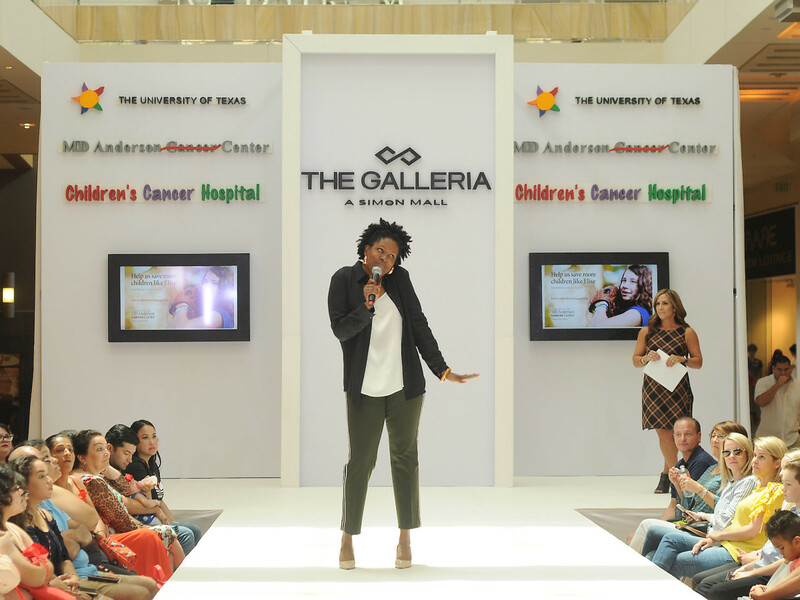 Courtney Zavala, co-host of KPRC’s Houston Life, and emcee for the event, was joined by Dr. Wykesha Hayes, who coordinates school program services for patients being treated at MD Anderson Children’s Cancer Hospital. 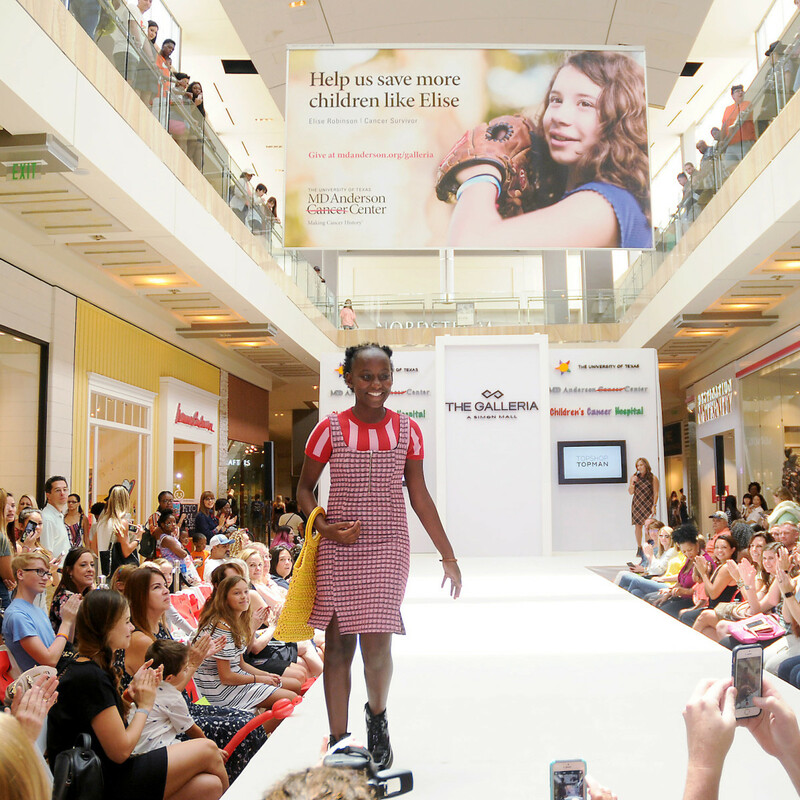 This year, 12-year-old Kaylyn White, an MD Anderson stem cell transplant patient had a chance to walk the runway from her hospital bed by using one of MD Anderson’s robots. 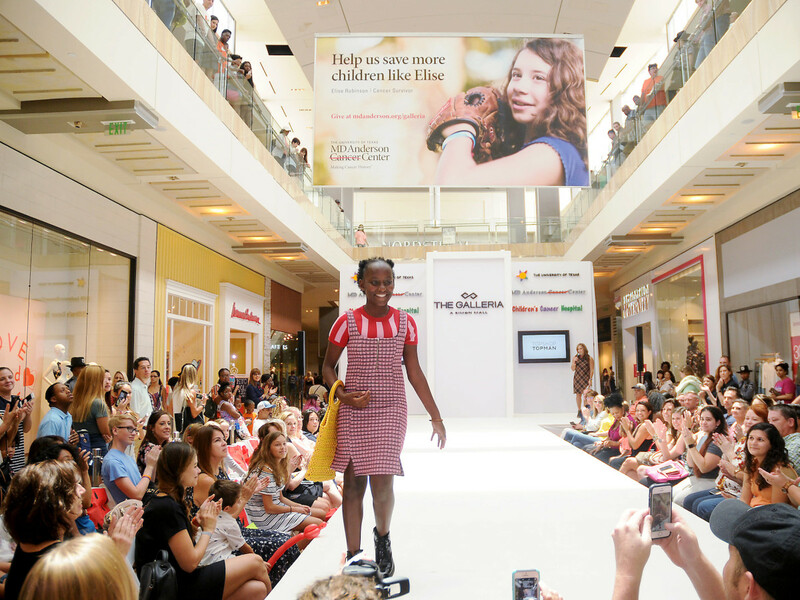 Kaylyn, a fashionista, who enjoys fashion, art, and science, was able to see through the robot’s camera to guide her down the runway. 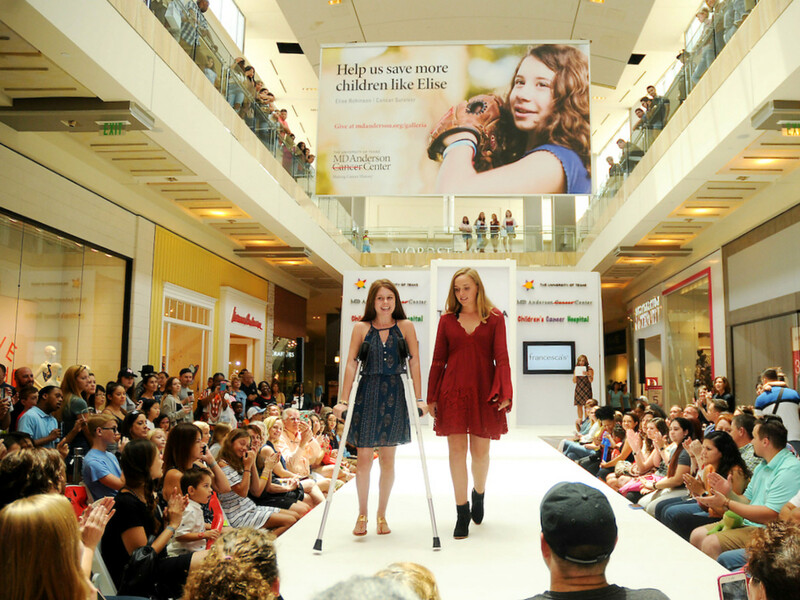 The robot’s movements were controlled by Kaylyn through software loaded on a laptop. 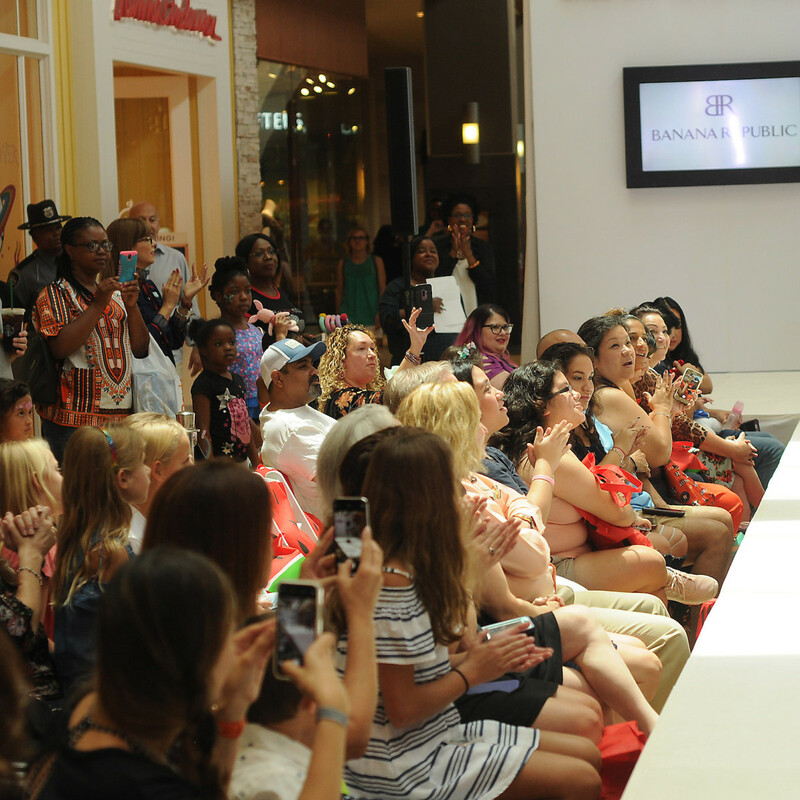 The crowd cheered and waved to Kaylyn through the robot’s screen as the robot made its debut styled in Banana Republic accessories. 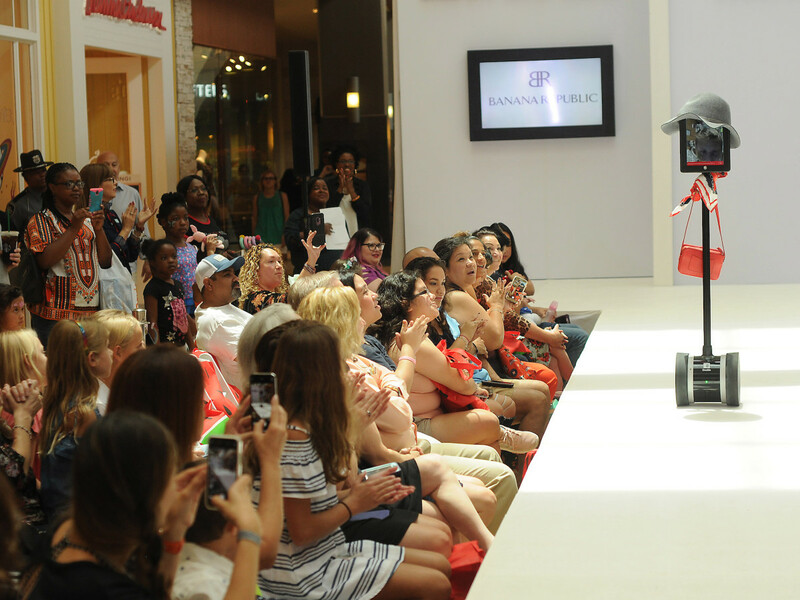 This was both Kaylyn and the robot’s first fashion show: “It was really cool to participate in the fashion show using the robot,” says Kaylyn. 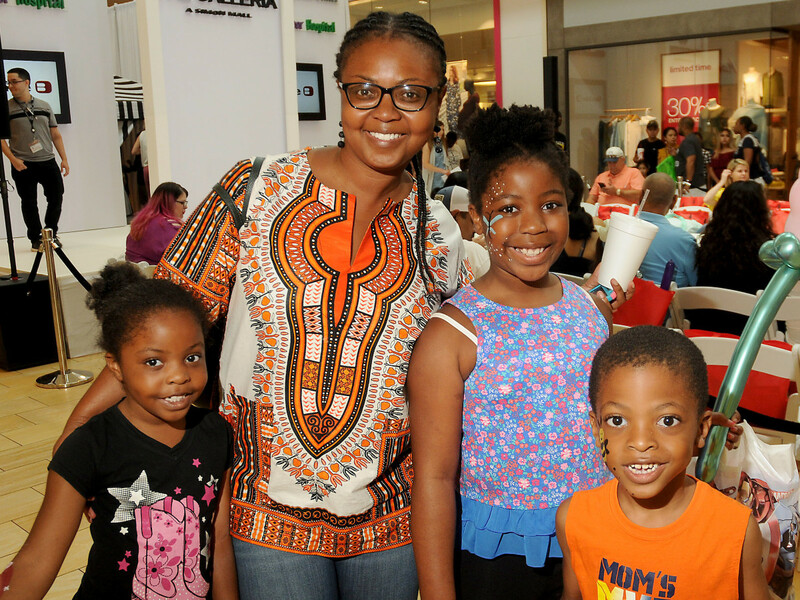 “I had fun.” The robots are part of patient support programs offered at MD Anderson’s K-12 private accredited school, and are primarily used for patients on isolation or those who are too sick to attend activities and school. 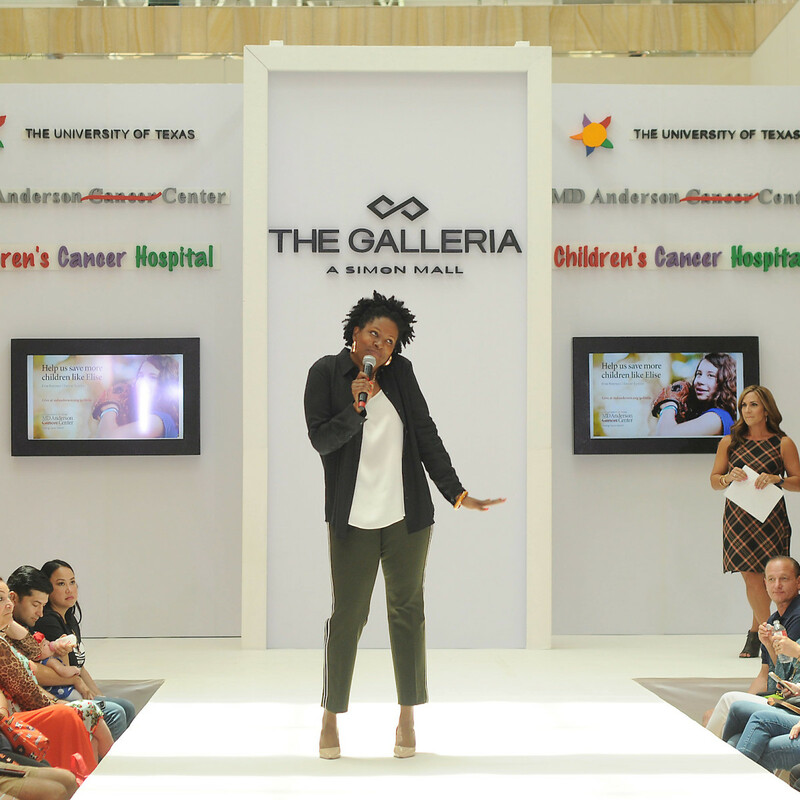 The fashion show special guests in attendance included patients and families, MD Anderson’s Dr. Richard Gorlick, chair and division head of Pediatrics; Dr. Wykesha Hayes; Mary Kathryn Cooper; Janet McCloskey; Krista Frederick; Katrina Burton; Brette Peyton; Stephanie Cheves; Theda Williams; Kimberly Young-Jenkins; Javier Espinal; and The Galleria’s Christopher Lane and Marichu Ricablanca.